About the only thing left to remove is the pinion shaft and housing. This is quick work. 4 bolts and It will slide right out! The next thing to do is to remove the shaft from the housing. You'll need a big tool for the job! 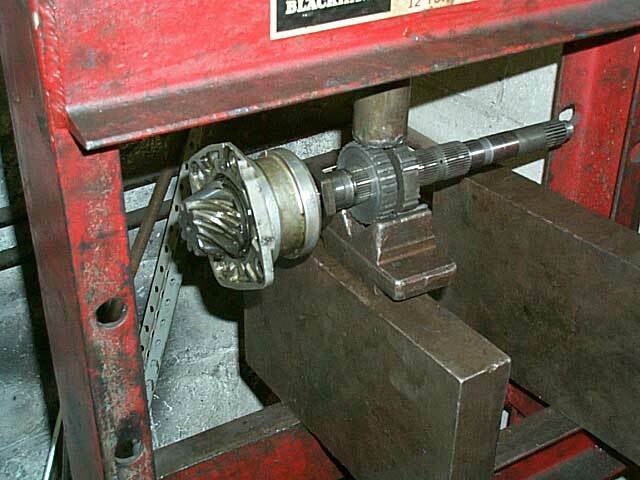 Now you can replace that dreaded pinion bearing! Removing the bearing is pretty easy. 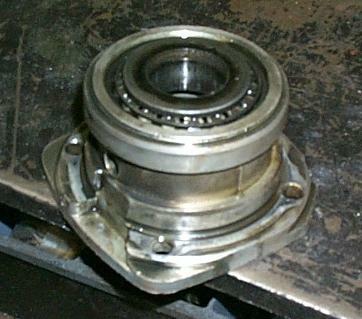 A press will push the bearings out of the housing. 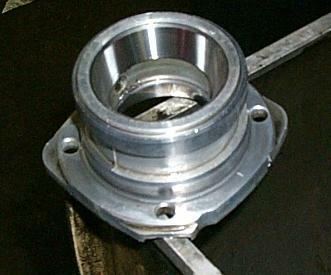 There are two bearings in the housing. One on each side. After really cleaning the housing, you should look for stress cracks on the mounts of the housing. This is an very important step. If the housing is cracked or even slightly cracked, you will have a premature failure when you start applying a lot of horsepower and torque to the transmission. 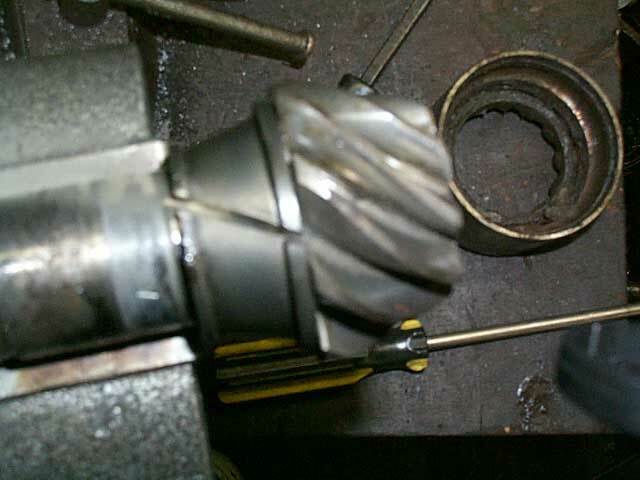 The last thing you need to do is remove the race for the roller bearing on the pinion shaft. There are a couple of ways this can be done. 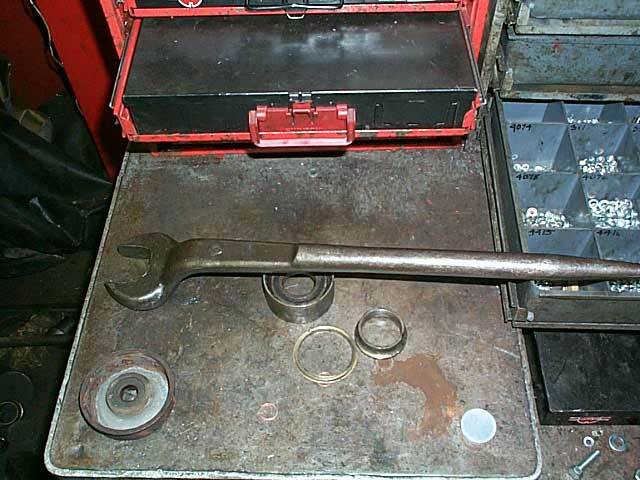 The easy way is to use a bearing puller (bearing "knives") and the press. It should come off easily with this tool. Another way is to use a diamond cutter on a hand grinder. The main drawback is that you can cut too far into the shaft and throw the balance off. Go about 2/3 of the way through and then take a chisel and hammer and break the spacer apart. It's time to take a step back and take a look at what you have.